Property 12: Boutique vacation hideaway for up to 4 adults. Unwind, relax, discover Piemonte. Property 19: Beautiful nineteenth century villa on the hills of the Langhe and Monferrato. 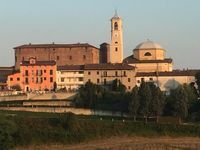 Property 26: Welcome to the stunning landscape of Asti, in the heart of Piedmont. Property 35: Canale d'Alba, in the heart of Roero and Langhe: wine, food and relaxation.